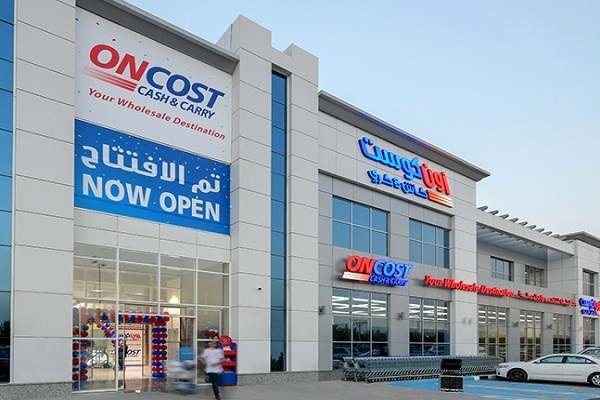 OnCost Cash and Carry, the first wholesale membership retail store in Kuwait, has announced that it had acquired all the outlets of renowned regional supermarket chain Gulfmart in the country The Gulfmart has been operating in Kuwait since 1999. Once the transfer of shares gets completed, Gulfmart and OnCost would merge and begin operating as a single entity within the span of the next six months, said a top official. "With this take-over, we will have a total of 20 branches spread across the country," remarked OnCost Cash and Carry CEO Saleh Al Tunaib. "Over the next five years, we plan on increasing the number of branches we own to 35, and look forward to entering the Saudi and the UAE markets through strategic partnerships with professional retail groups in those countries,"he stated. Established in 2010, OnCost Cash is Kuwait's first professional membership-based wholesale centre. It was a natural development that leveraged its strength in owning slaughter houses and operating Kuwait's Central Vegetables and Fruits Market in Sulaibiya. With this acquisition move, the total market share of Oncost in the local food market would reach 4 per cent, which he aimes to increase further in the future. "We opened our first branch in Alforda Market and became the first central market to provide everything and anything from fresh vegetables, fruits, meat and fish, to household cleaning and washing products to customers at wholesale prices all under one roof," stated Al Tunaib. "What makes us stand out from other central markets in Kuwait is our focus on wholesale shopping in a household focused retail environment for on an efficient assortment, while providing those selected products at the best, fair and competitive prices in the market" he noted. "For instance, while others might provide 8 to 12 different types of bottled water, we offer only 3 or 4, but at prices that range from low to high. Our focus on wholesale purchases attracts different sections of customers, including companies, families, and even individual shoppers," said Al Tunaib. "Moreover, we also serve the Hotreca sector and are affiliated with around 500 companies to whom we provide imported or local food and other products," he stated. "In addition to our brick-and-mortar stores, we also have a 'Baqal' service that receives and delivers online orders from customers exclusively through the Talabat or Baqal mobile app. This service, which has nearly 30 delivery vehicles, promises to deliver orders within a maximum of 30 minutes of placing the order," he added. On the Gulfmart takeover, OnCost said it had been in negotiation with the supermarket chain for almost two years. "There are very few suitable real estate locations for central markets in Kuwait, and this was a hurdle to our expansion plans. By buying Gulfmart, we are able to immediately expand our presence in 16 new locations," stated Al Tunaib. "Moreover, the Gulfmart brand is well established in the market and, having been operating here for 19 years, they also have a good customer-base. "he added. On the future merger plans for the two brands, the COO Remesh Ananda Das said: "We expect it to take about six months. Until then we will operate as single entity under the same management and policies, so that Gulfmart customers will not discern any sudden change to their shopping patterns and habits after the merger."